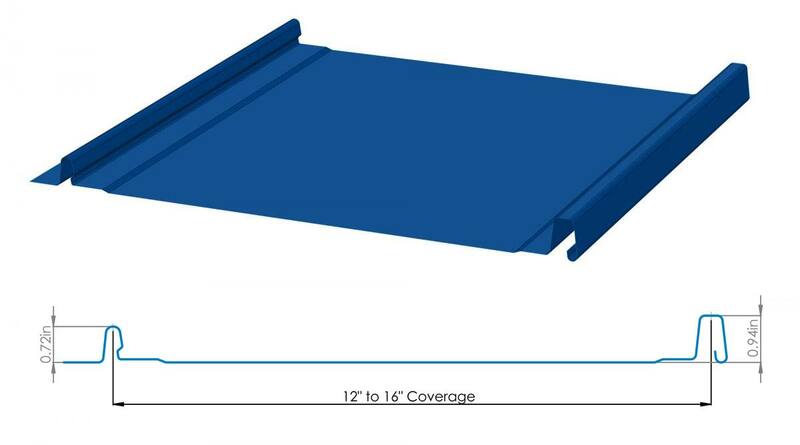 12” TO 16” TOTAL COVERAGE WITH 1”, 1.5” & 2” RIB HEIGHT. CUSTOMS MAY BE AVAILABLE. 2” HIGH RIB WILL SPAN UP TO 5’ PURLIN SPACING. OIL-CANNING IS COMMON TO THIS PRODUCT. STRIATIONS OR STIFFENING RIBS CAN MINIMIZE THIS EFFECT.